Everyone wants a good posture but very few people actually know what that looks like, and more importantly what that takes to achieve. 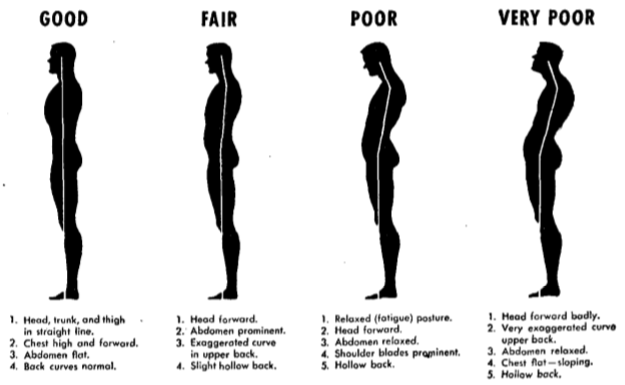 According to the American College of Sports Medicine, ACSM, a good posture is defined as the ability to keep your “shoulders back, standing tall, chest out, chin up“. Adopting a good posture is a key factor in achieving a better quality of life in your work or in your chosen sport. Having a good training routine and doing specific exercises on a regular basis can help to prevent bad postures from occurring, and alternatively, with the right help, can help to correct posture imbalance. It takes time, but there is no better time to start than now, so sign up here and be ready to stand up…tall ;). Sou o Duarte e tenho mais de 7 anos de experiência como Personal Trainer. Ver todos os artigos de Duarte. Artigo seguinte Core Muscles?! What’s that?